Is a travel rewards credit card right for you? Think carefully. They’re not for everyone and unless you choose wisely, they could cost you money. Here's a better way to reap the benefits. Free travel sounds mighty appealing. So, it’s easy to see why travel rewards cards that offer free airline tickets or hotel rooms are popular. Only 18 percent knew that the average value of a travel rewards point/mile is one cent. Most (45 percent) thought it was worth more. Almost one in five (18 percent) said a point or mile is worth $1 or more. About one in seven (15 percent) thought they could get three or more round-trip domestic flights by cashing in a sign-up bonus of 50,000 points/miles, while 16 percent say that’s not enough to purchase any round-trip flights. NerdWallet estimates that 50,000 points (with a non-branded travel rewards credit card) could purchase an average of 1.6 round trip tickets. Overestimating the value of using a rewards credit card “can be a real letdown when you go to redeem those points in the future and find you don't have enough,” said Sara Rathner, NerdWallet’s credit card expert. “It's very important to understand the value of a card's rewards, and other ways that the rewards program operates, so you know what you're getting into — ideally before you even apply for your card,” Rathner told NBC News BETTER. Tip: If you’re considering a card with a sign-up bonus, know how much you’ll need to spend and how quickly to earn those extra points/miles. Is that level of spending realistic for you? You don’t want to spend more than you can afford simply to earn a bonus. Is a store credit card worth it? “Stockpiling travel rewards and letting them collect dust in your account is pointless,” Rathner said. In some cases, rewards points or miles can expire, but the big risk is that they drop in value, if the airline or credit card company changes its rewards program. Earlier this month, United Airlines announced that it’s changing from a static and predicable mileage reward chart to a dynamic-pricing system which will, as the airline described it, “fluctuate based on a variety of factors, including demand.” This new awards program applies to all new reservations for travel on or after November 15. While it can make sense to sock away rewards for a big trip, the smart move is to do that with a general-purpose rewards card that pays you back in points, rather than an airline credit card that pays you in miles that can only be used for tickets on its flights. DOES A TRAVEL REWARDS CARD MAKE SENSE FOR ME? 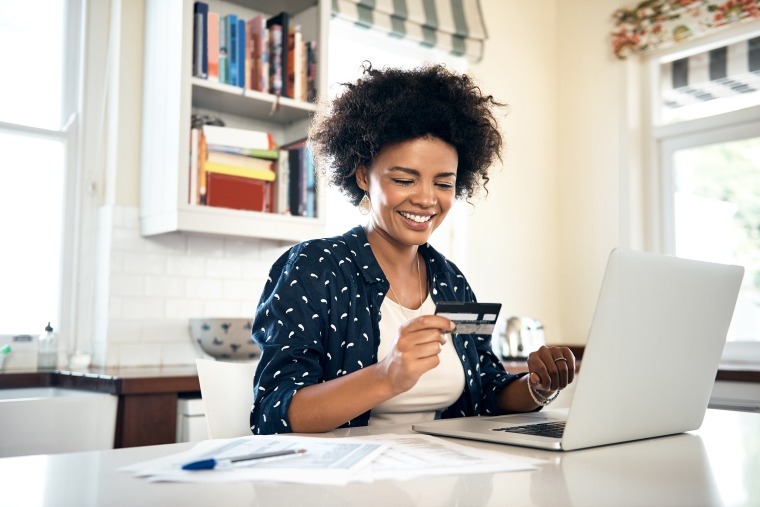 General travel rewards cards, like the Capital One Venture Rewards or Chase Sapphire Preferred, let you use your rewards for travel or cash back. If you don’t travel very often, this is the way to go, since you can choose the type of reward. Co-branded rewards cards that are issued by an airline or hotel chain. If there’s an airline or hotel chain you typically use, this makes more sense. Aside from the basic rewards, you’ll get extra benefits, such as free baggage, special “members only” specials or complimentary upgrades. Note: You’ll need good to excellent credit to qualify for a rewards card. Annual fee: Rewards credit cards typically have an annual fee of $50 to $100. With premium rewards cards, fees range from $200 to $550. While these high-end cards, such as the Platinum Card from American Express and the Chase Sapphire Reserved come with a variety of travel perks, including access to airport lounges and credit for travel expenses, they don’t make sense for the occasional traveler. Higher interest rates: Rewards cards of any kind have higher interest rates than traditional credit cards. If you don’t pay your balance off in full each month, don’t even consider getting a rewards card. That interest can wipe out the value of those rewards. The best travel rewards card is the one that works the best for you, based on your spending patterns and travel habits. You need to do your homework to learn the ins and outs of various programs. Compare how you’d earn rewards with that card and how you can spend them, as well as introductory bonus (if any) cardholder perks, and annual fee (if any). Note: These highly-rated cards have no annual fee: Bank of America Travel Rewards cards, the Capital One VentureOne Rewards and Quicksilver cards, and Discover it Miles. To get you started, here are some links to “The Best Travel Rewards Cards of 2019 according to NerdWallet, Credit Card Insider, The Points Guys, CreditCards.com, WalletHub, CompareCards and LowCards.com.